Wine Enthusiast 90"This is a spicy, wooded, thick and dense varietal wine. The palate is medium bodied, with bold boysenberry and black berry fruits that mingle with a seam of lifting citrusy acidity. It's an approachable and tasty crowd-pleaser that'll impress." 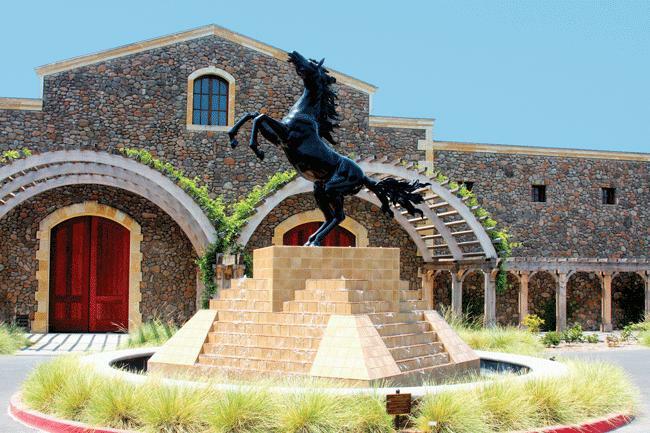 "Black Stallion Estate Winery Sauvignon Blanc opens with vibrant tropical aromas of guava, lemongrass and citrus blossom, complemented by lush flavors of kiwi, passion fruit, lime zest and orange crème. Medium-bodied on the palate, bright fruit and crisp acidity lead into a lingering finish."